EASO Executive Director is visiting Cyprus to reaffirm EASO’s support to the country’s asylum services. The Executive Director of the European Asylum Support Office (EASO), José Carreira, is visiting Cyprus today in the framework of the agency’s ongoing efforts to enhance its support to Cyprus. Mr Carreira had the opportunity to discuss EASO’s operational support with Cyprus’ Minister of Interior, Constantinos Petrides and with the Head of the Cyprus’ Asylum Service and Acting Head of the Civil Registry and Migration Department, Makis Polydorou. Mr Carreira will also visit the Reception and Accommodation Centre for Applicants for International Protection in Kofinou later today. On 28 February 2017, EASO and Cyprus signed an amendment of the EASO Special Support Plan, which provides for further tailor-made support to Cyprus until 31 January 2018. Besides continuing the implementation of the initial support measures, new activities on backlog management and contingency measures have been added. Following a request from Cyprus, EASO decided to extend the mandate of the current Support Plan into two new important areas, which would allow EASO to provide operational support. As part of the agreement, EASO is planning to deploy 8 experts at a time, specialized in backlog management. EASO has also been deploying simultaneously 2-3 experts at the Kofinou reception center, assisting in vulnerability assessment, social assistance, and additional capacity building activities. 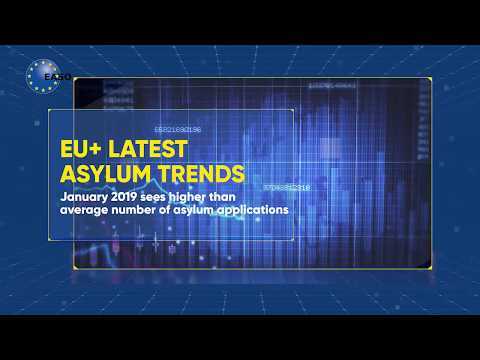 As a measure of contingency planning, EASO also stands ready to provide operational assistance to Cyprus in the field of registration, screening and reception of persons requesting international protection in case of high number of arrivals.